You'll examine the world that was dramatically reformed by a particular individual, or plunge into a defining moment in an individual's life, or learn how an individual went on to influence some of history's other great revolutionaries. 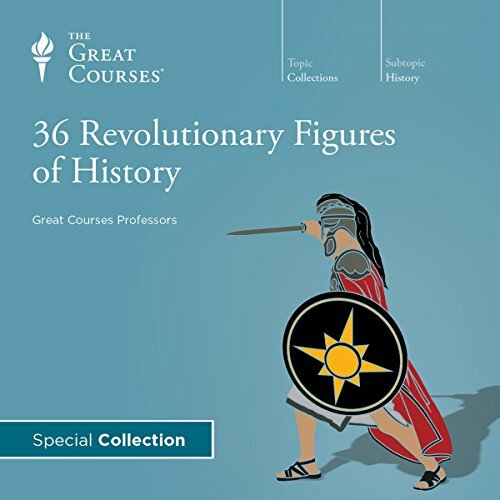 Most importantly: you'll come away with a thorough understanding of why history is so indebted-for better or, in some instances, for worse-to these 36 epic figures, including Socrates, Queen Victoria, Abraham Lincoln, and Mohandas Gandhi. You'll also encounter figures that you may not have considered to be so revolutionary. It takes a great professor to help you understand what makes a single person change the world. To that end, we've assembled individual lectures from some of our most highly rated and beloved professors and instructors. 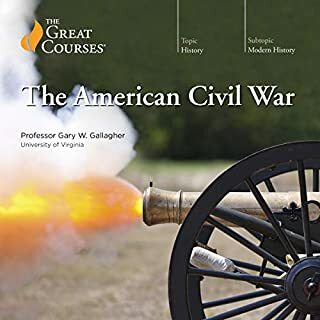 Drawn from a range of academic fields (including military history, science, literature, religious studies, and philosophy), each professor lends his or her expert knowledge and teaching skills to making this an authoritative learning experience. Countless adventures await you with this carefully crafted look at titanic historical figures. 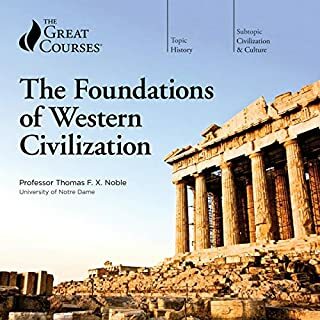 If you have a friend who is new to The Great Courses, this collection makes for an accessible and rewarding first step into lifelong learning. 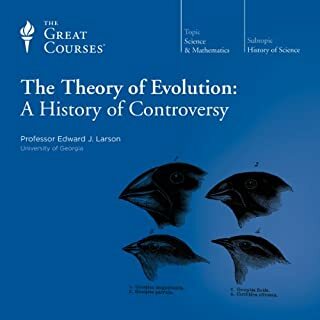 This is an anthology of lectures pulled from other Great Courses. Apparently, someone decided on a list of revolutionary figures and then went in search of lectures that mention those people. Unfortunately, the lecturers do not know that they are supposed to be talking about how or why these people were revolutionaries. Also, since the other courses vary in topic from art, history and politics it gives a very uneven feel to the work. I couldn't finish it and would not recommend it. I was very disappointed with this. This was snippets of chapters from many courses. Kind of just a middle lecture promising either to tell more of the story in a future lecture or not having a clear beginning. Some of these were boring- if you are looking for life and times of these leaders this will not suffice. Some were even very insignificant contributions. This one was a waste of time and of one credit. I learned very little. 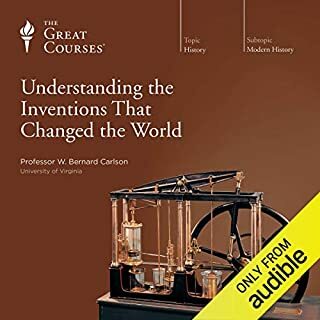 This and its companion 36 Books that Changed the World, is a compilation of material created for clearly different purposes and then pasted together under a flimsy rationale. I bought both, excited by the potential, but was very disappointed. GREAT COURSES has produced many excellent, educational and informative lecture series - this is NOT one. I really liked this Great Course because it was 36 different lecturers talking about what they know best. There were a few historical figures I thought were missing (why a lecture on Churchill but not Lenin or Stalin or FDR?) but that's going to be the case in every series like this. What I loved was the variety of characters discussed: world leaders, artists and writers, philosophers, religious icons, scientists... It was a very rewarding listen. Only thing to be aware of is that the lectures each individually come out of other courses, so occasionally the lecturer will refer to that course or reference previous or upcoming lectures that you aren't privy to. Otherwise really solid. A well documented but brief review of the accomplishments and driving ideals of thirty-six of history's most important people. this is a collection of parts from full courses. i knew that but expected more of an effort to create a semi-unified product. Some were great some were hardly understandable out of context. Too many were victims of forest for the trees because they had been plucked out of context. 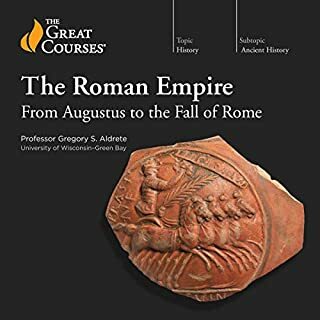 I would recommend a full course rather than these samplers -- now that I have sampled them I really do like the Great Courses and if this is all you have tried -- instead try the real full course (s) you are interested in. Great Great Courses! Definitely recommend! I really enjoyed learning with this course! It's fun! Yes! The professor's voice on the Churchill section was a bit jarring, though. What disappointed you about 36 Revolutionary Figures of History? Disjointed lectures where speaker keeps referring to it past or future lectures which you don't have. Has 36 Revolutionary Figures of History turned you off from other books in this genre? 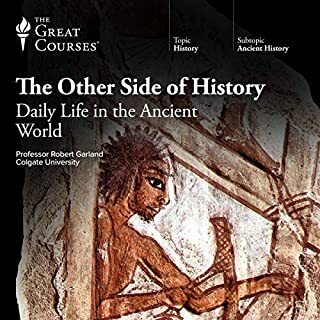 This is cheating, I assume a lecture series to be start to end as one unit but here you get 36 disjointed blips of history, very poor. Great variety of characters. But some that should barely make it into the list, but for being American. very good for the most part. there were a number of lectures I didn't enjoy, found uninteresting. other lectures made me want to find out more. the 36 revolutionary people had a number of surprises and a few I had never heard of.